I was putting my backpack on at the truck when I hear deer running through the woods, looked up to see a doe being chased by the 8 point and two smaller bucks chasing them. 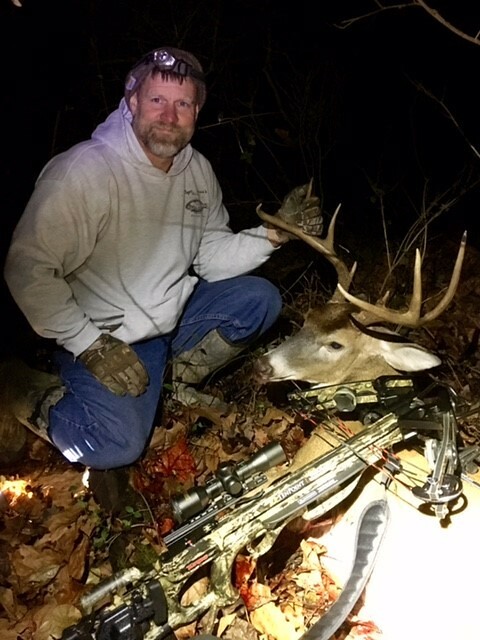 They crossed the creek and headed up the hill and out of site, I grab my bow and ran back to the stand by the creek and the railroad tracks (yes same stand my deer got run over by a train a couple of years ago ).As soon as I climb the stand the two smaller bucks came over the hill stopping 10 yards from me, then back over the hill they go. A few minutes later I see the doe feeding on the hill across from me, she beds down and the 8 walks up and beds down also. I look over to my left and watch both of the smaller bucks bed down. Finally the doe gets up and the fun begins again. They ran back and forth for the next hour before the 8 point gave me a 35 yard shot. 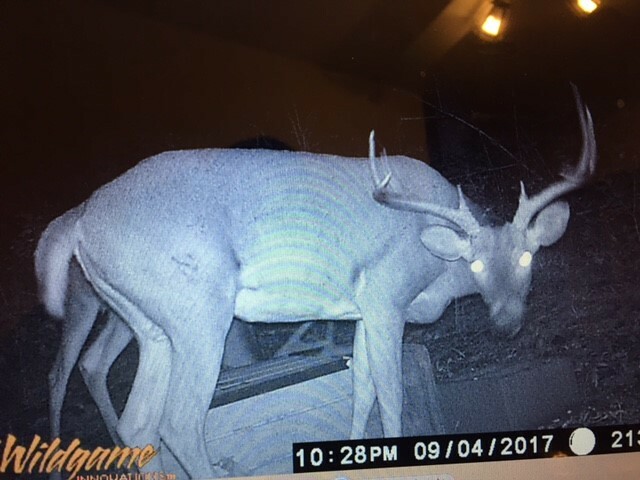 I had a close call with this guy on opening day, then he disappeared for a while. 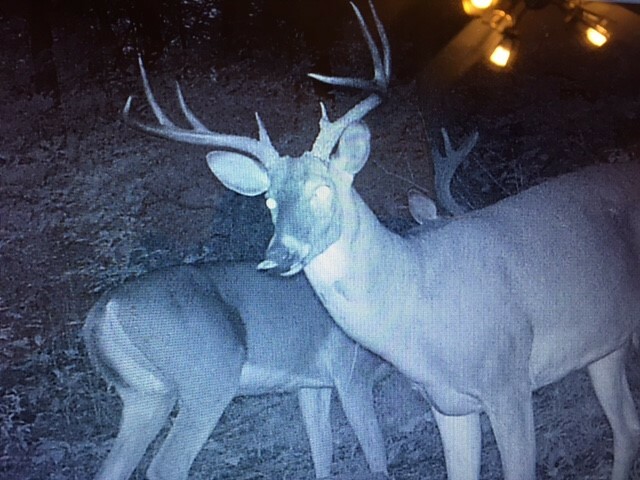 Finally he showed back up on camera, waited for the wind to be right and had a great hunt.